The St. Louis Area Foodbank is using VolunteerHub to manage volunteers, communicate with partners, fill opportunities, and increase impact. St. Louis Area Foodbank has steadily grown to be the largest food distribution charity serving eastern Missouri and southwestern Illinois. The nonprofit opened in 1975 and provides services with the goal of increasing access to nutritious food while improving the quality of life for individuals in need throughout the organization’s 26-county service territory. The St. Louis Area Foodbank has strategic partnerships with a robust network of community partners that include food pantries, soup kitchens, shelters, and residential programs. Last year alone, St. Louis Area Foodbank, a member of Feeding America, provided more than 35 million meals to families in need of food assistance in the bi-state region. Volunteers at the Foodbank provide support in several key capacities including sorting food and packaging boxes. The St. Louis Area Foodbank elicits the help of over 16,500 volunteers annually. 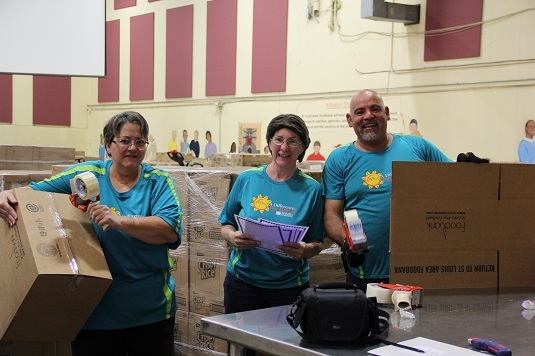 “Our volunteers program production is equivalent to 24 full-time employees…the value add is huge,” said Mary Cooper, Office Service Coordinator, St. Louis Area Foodbank. In 2017, volunteers at the St. Louis Area Foodbank packaged over 5.6 million pounds of food. Supporters of the organization have a substantial opportunity to make a quantifiable impact. Growing numbers of volunteers and corporate sponsorship caused the Foodbank to explore management software to eliminate barriers. 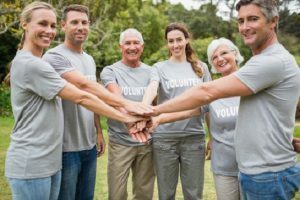 Like many other nonprofit organizations, prior to implementing VolunteerHub, the St. Louis Area Foodbank relied on a manual process for managing volunteers and corporate partnerships. This manual process consisted of spreadsheets, for each component of the program, making keeping track, and understanding volunteer impact challenging and time-consuming. “Prior to implementing VolunteerHub we used multiple spreadsheets to manage volunteers. This method wasn’t an effective use of our time,” said Mary Cooper, Office Service Coordinator, St. Louis Area Foodbank. The St. Louis Area Foodbank needed a better way to streamline volunteer management and organize partnerships. VolunteerHub offered the feature set and functionality that the nonprofit needed. The Foodbank was also confident that VolunteerHub would provide support as they grew in capability in the future. The St. Louis Area Foodbank has used VolunteerHub for over 7 years. One of the most beneficial features for the organization has been the volunteer group sign-up feature in VolunteerHub. 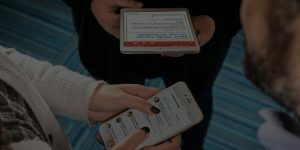 The feature is allowing the nonprofit to organize volunteers by corporate sponsorship, quickly access contact information, and send group-specific communications and notifications. The St. Louis Area Foodbank has used the notification feature many times to update supporters on role changes and volunteer recruitment opportunities. Finally, the groups feature is allowing the Foodbank to optimize their special events program. “The group sign-up feature in VolunteerHub is great. The feature has really improved our ability to track and analyze supporters,” said Mary Cooper, Office Service Coordinator, St. Louis Area Foodbank. Another feature of VolunteerHub that has been beneficial to St. Louis Area Foodbank is the reporting feature. The Foodbank is using these features to categorize volunteer participation and evaluate volunteer attendance, activity, and trends. Reporting allows the St. Louis Area Foodbank to quickly access volunteer rosters, sign-in sheets, and registration history of supporters. 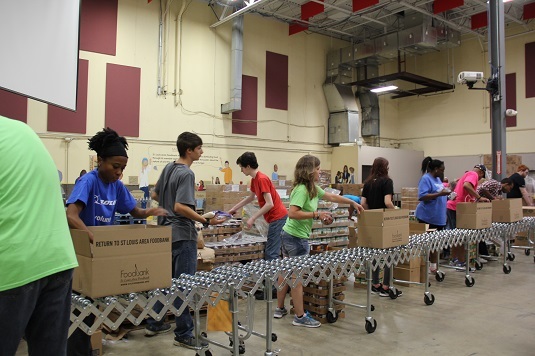 Overall, St. Louis Area Foodbank is happy with the functionality of VolunteerHub and how the software solution has improved many capacities of their program. Are you interested in volunteering with the St. Louis Area Foodbank? Check out their volunteer opportunities here. Is your nonprofit interested in learning more about the feature set of VolunteerHub? Please contact us today for a demo.